The Red Sox (11-13) open a 3 game series against the Baltimore Orioles (16-9) tonight at Fenway. Jon Lester LHP faces off against Wei-Yin Chen LHP in a pitching matchup that should favor the Red Sox. There are thunderstorms in the forecast for Boston between 6pm and midnight, so it could be an interesting night weather wise. Any Red Sox players who were here last year certainly have plenty of motivation going into this series. I can vividly remember watching Baltimore celebrate their walk off win in game 162 last year like they had actually won something. A sweep this weekend certainly won't change last year any, but it will go a long way towards giving fans like us some redemption. Aaron Cook was recalled yesterday with Jose Iglesias being sent down, a long with the hope that we might get to see the future of the left side of the infield for one game. It will be interesting to see if Dan Duquette is in town tonight with the Orioles. If he's in the house I'm sure he'll get some air time on NESN. Dennis Eckersley is scheduled to be alongside Don Orsillo in place of Jerry Remy. That will be a good reason to watch the game no matter what the score. We all love the Remdawg, but Eck is the best of the rest. I've got Salty in there for the first time vs. a lefty because he and Lester seem to work well together and Shoppach has been less productive lately. Also, Gonzalez is mired in a 2-22 slump over the last 7 days and something like 0 for his last 18 AB's so I moved him down one spot (he usually hits 3rd vs. lefties), what would you do with him?? Leave your answer, as well as any updates and questions you might have in the comments section below. From, the early posting of the lineup, Gonzo has been left at the three hole vs. a lefty, but moved out of the cleanup spot where he has been lately, with Pedroia moving to cleanup. Shoppach is in there hitting ninth ( Barry, I agree with you I would have played Salty..he needs more regular at bats and playing time). But pehaps the big surprise is Will Middlebrooks batting second. After his strong debut, from the #8 spot, we will see how Will M. does in the upper part of the order. 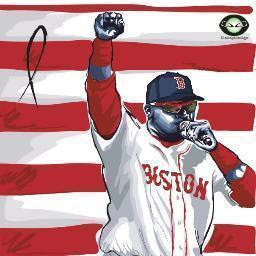 If he styas hot, would Bobby V consider flipping Pedoria and Will in a futire game vs. a lefty and have Middlebrooks hit cleanup?? I agree some revenge should be on the Sox' minds, but they better not take these guys lightly. While we were grousing about losing two in a row to Oakland, the O's beat the Yanks both of those nights and held them to 1 run combined. 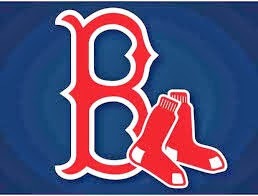 Hopefully the revenge factor will drive the Sox to a series win or better yet a sweep. Bobby V showing a lot of confidence in Middlebrooks after one game. That is certainly a change from the last manager. Tito would have left him near the bottom of the order to keep the pressure off the rookie. We'll just have to wait and see how it plays out. Myself, I like the move because it's aggressive. Why not give it a try? I'm tired of the straight lefty-righty platoon on non-Beckett days. Salty needs to be playing all the games that Beckett doesn't start, with the only exception being the occasional day after night game. This just in the Red Sox got zero redemption this weekend. In fact they got the opposite of redemption.